Josh Waitzkin, interviewed in Tom Ferriss’ the Tools of Titans highlights one of the most important concepts in life. Succinctly put, he calls this the Go Around principle. What is the Go Around Principle? Josh describes the foundation of the principle as when his young son attempted to enter a door to their Martha’s Vinyard cottage but it was locked. Josh would tell him to “Go around.” On the surface, this is really simple, right? But translate that to other aspects of your life. It’s no longer about trying different doors or windows of a house, it’s now about problem solving. In my experience, as you look at problem solving, there are three types of people. The brick breaker, the Go Arounder, and the settler. The Brick Breaker is the type of person that runs runs into a brick wall and keeps hitting it, determined to power through. It may not be the most elegant solution, but by golly, the brick breaker will break through that wall, or die trying. In the miles and points world, this is the person who books the rule breaker award if a saver award isn’t available for that trip to Asia or Australia. This is also the person that sets up tons of ExpertFlyer Alerts so they can get the saver award eventually, but will get that specific route. The Go Arounder, is much like described by Josh Waitzkin. This is the person that finds another way around or over top that brick wall. In the miles and points world, this is the person who routes via Europe to Asia or via Asia to Australia. The trip might be longer but they got the award for the saver level and met the objective of getting to their destination in their desired class of service. It may not be the most elegant solution but it doesn’t cost an arm and a leg. 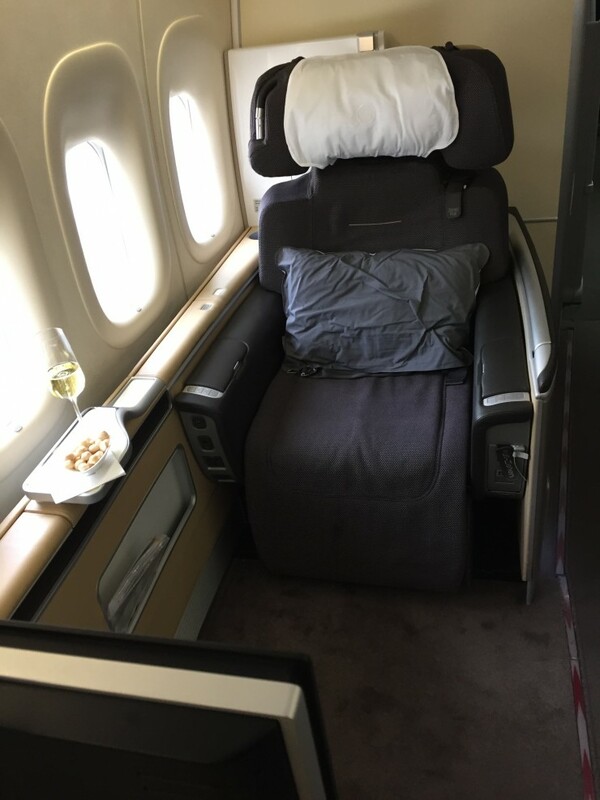 They might even be the type that books a less than ideal itinerary and then when the desired space opens up, they make the change to get that truly elegant itinerary–like Lufthansa First Class. The Go Arounder may be the type that flies to Asia via Europe more often than direct. But they always do it in First Class. The Settler is unfortunately just as it sounds. They run into the brick wall, usually bounce back, and take what they can get. It’s too hard to break through the wall, and climbing or going around the wall will take too much effort and time. Getting to the other side of that brick wall wasn’t really that important anyway. In the miles and points world, this is the type of person that if they don’t see their desired direct itinerary, and they decide to postpone or cancel their trip. If they can’t fly on the non-stop from Washington-Dulles to Dubai, then they won’t go, despite Washington-Dulles to Abu Dhabi being available and less than an hour away from Dubai. I think the Go Around principle is one of the most important lessons one can learn. It is applicable in our everyday lives; whether you are trying to repair the kitchen sink, encounter a problem at work, or are planning a trip. Hopefully you can be a go arounder from early in life, because it is truly a lesson that will help you go far. That said, you can be each of the three described above at various instances in your life. I personally always aim to be a go arounder, however, there are sometimes that you just can’t negotiate. For example, if you want to visit the Lufthansa First Class Terminal, there just is no other way.